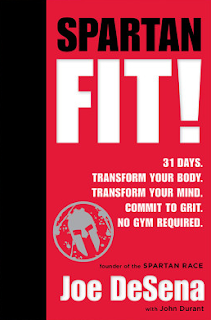 If you missed out on the Spartan Race giveaway last month then you're in luck because I'm back with another one! 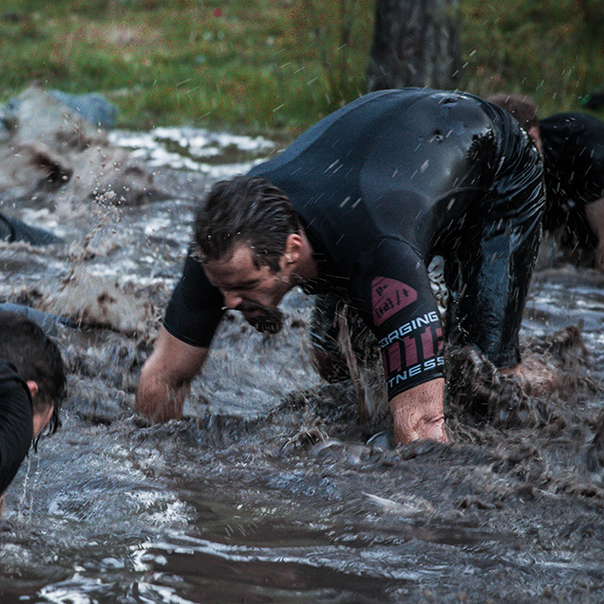 Spartan Race has races all over the U.S, and it doesn't matter if you're in a rural area or an urban area. They make it happen. If you're nearby one of 'em, consider signing up. Last month I gave away Era Organics' natural moisturizer cream, and if that interested you then this probably will too. 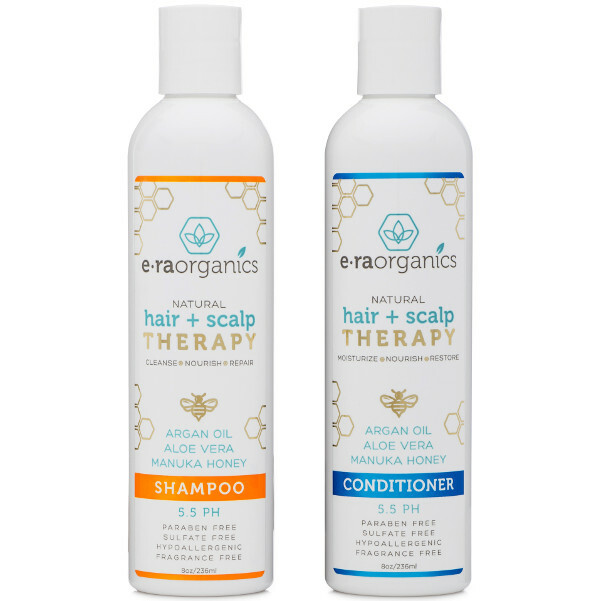 My wife and I recently had the privilege of trying some natural shampoo & conditioner from Era Organics. The hypoallergenic formula contains Argan Oil, Manuka honey, and Aloe Vera, which help restore your hair without stripping away essential oils and nutrients. I'm a fan of anything honey-related, and the Manuka honey in this formula includes Vitamins A, B, C, D, E and K with amino acids and vital minerals. Like I said before, my wife and I both tried this shampoo & conditioner set and we're fans. It can be used for both men and women, and it's also gentle enough for children. This stuff soothes and repairs dry, itchy scalp, dandruff, psoriasis, and eczema. There's other cool natural products on the site, so check it out and browse around. Era Organics provides the very best ingredients to supply your skin optimum nutrition. 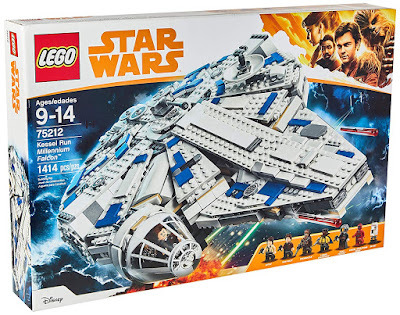 So who wants to win something?! 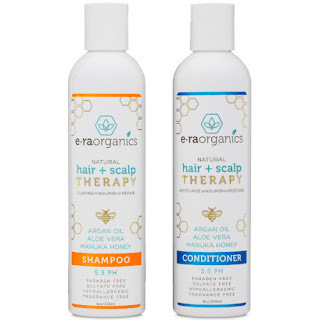 The folks at Era Organics are graciously offering a set of natural, sulfate-free shampoo & conditioner to one Giveaway Guy reader. If you follow my blog then you might've noticed I recently posted a giveaway for the world's strongest coffee. 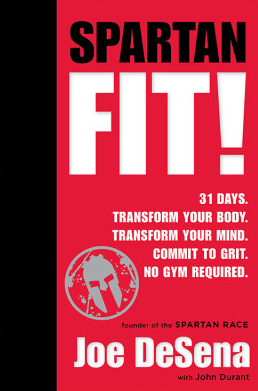 Check it out if you haven't. I've you're on the opposite end of the spectrum, meaning, if you prefer a light roast and something not as strong, then perhaps Green Mountain's breakfast blend is more your speed. 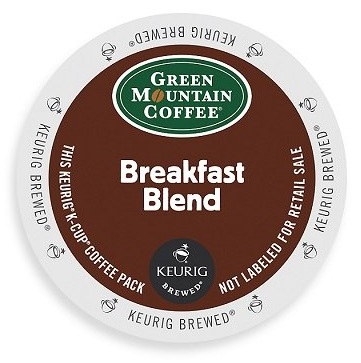 A couple weeks ago I won a box of Hawaiian blend (not as well known as Green Mountain), but I'd like to give away a box of Green Mountain Coffee - the breakfast blend flavor! The giveaway is available to everyone worldwide. I think Spring is finally here. Took long enough, and the snow on April Fools Day was nothing to laugh about. Time to enjoy some Spring honey and enjoy the weather. Today I'm featuring Dan & Cortney of Williams Honey Bees, who are situated in Frankfort, Ohio and have a small beekeeping operation selling honey, nucs, and queens. Pictured above is a one pound jar of local, raw honey that's made mainly from the nectar of black locust trees in Ohio. Cool, huh? This honey is tough to get as the black locust trees are only in flower a few weeks in Spring, and the nectar flow is early and sporadic. So that makes this Spring honey a unique treat. As you can probably tell by looking at it, it's pleasant tasting and mild. If you're like me, try spreading the honey on toast or put it in your tea. Support the bees! Check out a short and sweet bee infographic I posted about why they matter. In the mood for honey now?! 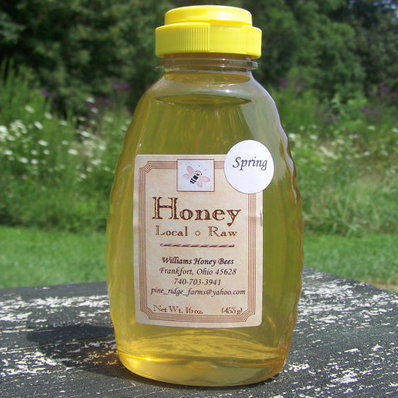 Williams Honey Bees is graciously offering a one pound jar of Spring raw honey to one lucky Giveaway Guy reader. A couple weeks ago we got more snow on April Fool's Day, which was a cruel joke, although not uncommon around here. But since it's cold again, that means more opportunity to drink hot tea with raw honey. Taproot Studio and Farm is a community-driven business that features emerging local artists and small-batch food makers (including The Barefoot Beekeepers), as well as responsible artisans from around the world. Taproot helps to preserve the simple pleasures of products that have been handmade by skilled artists to create meaningful change for the artisans and their families. Do you strive to live locally and closer to the ground? Pictured above is a one pound jar of treatment-free, raw honey that's sealed and hand-dipped in beeswax from the same hives where the honey's from. Cool, huh? I feel bad opening the jar since it's such a unique thing. 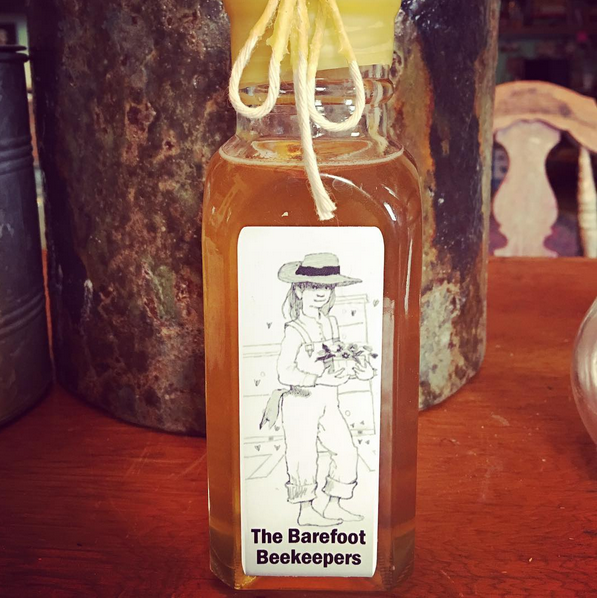 The Barefoot Beekeepers practice a holistic approach to beekeeping, keeping it simple. They use essential oils such as thyme, lemongrass, and spearmint to combat the varroa mite. Do you know this mite is? It's one of the major killers of the honeybee population in recent years, and The Barefoot Beekeepers have had great success with using their techniques. This raw honey is a combination of local wildflower and clover, making the perfect combination of delicate flavor and texture. I haven't tried it with cheese, but Taproot suggests it's a great pairing. Or if you're like me, simply spread the honey on toast or put it in your tea. Using a honey dipper like the one below makes things fun. In the mood for honey now?! Taproot Studio and Farm is graciously offering a one pound jar of raw wildflower honey AND an olive wood honey dipper to one lucky Giveaway Guy reader. Warm weather is on the way, so it's t-shirt time. How about a shirt that helps save the planet? Mad Leaf provides fashionable apparel made of sustainable materials (organic cotton and recycled plastic bottles) and helps spread awareness about eco-friendly initiatives. You read that right - a shirt made with plastic bottles. Did you know Americans throw away more than 2.5 million plastic bottles every hour? And 90% of these bottles end up in landfills, which is absurd! In general, plastic takes up to a thousand years to biodegrade. Mad Leaf considers it their duty to help sustain our planet and you should too. 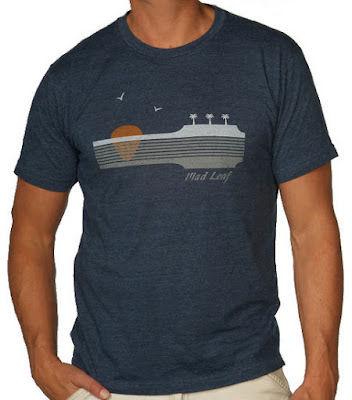 I've got the t-shirt pictured above, the Guitar Beach shirt, and it's super comfy and lightweight. It's not one of those heavy cotton shirts that you sweat in just standing there. Half organic cotton and half recycled plastic, it breathes nicely. It's already one of my favorite shirts. Cotton is often referred to as a dirty crop due to the heavy use of hazardous insecticides in it's farming and manufacturing. Pesticides for non-organic cotton end up in the ground, air, water, and our food. Join Mad Leaf in their journey to make a positive impact on the environment and buy organic cotton clothing. Mad Leaf believes that many people are just like them – men and women who are multidimensional and passionate about taking care of the planet and families. 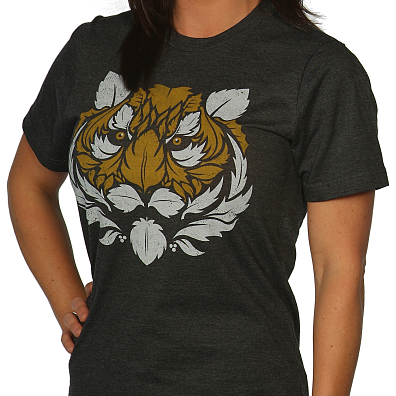 Check out the variety of shirts available for both men and women and support a great mission. So who wants a shirt?! The guys at Mad Leaf have been gracious enough to offer up a shirt of your choice to one lucky Giveaway Guy reader. I've got a pair of Skullcandy ear buds for you headphone lovers, and this particular pair (Ink'd 2) is actually discontinued now, making these buds on the verge of becoming rare. However, they've been well-received by a lot of people on Amazon. 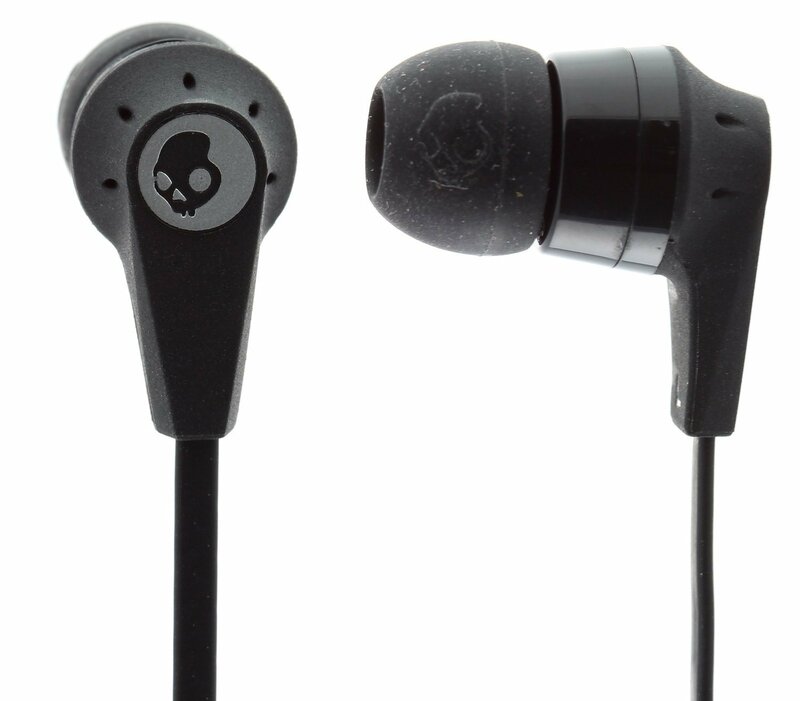 I'm going to give the ear buds away to one lucky Giveaway Guy reader (anywhere in the world) and the color you'll be getting is black. I also have a bunch of other giveaways going on, so check 'em out if you haven't already! They're also listed on the right side of my blog. There's a pair of green Panasonic buds ending on 4/11, so hurry before that's over. If you previously entered my giveaways for blueberry coffee and pumpkin spice coffee, you won't want to miss this one. Now that the #PumpkinSpiceEverything fad is long over, I recommend raising your coffee standards with some premium, bold beans. 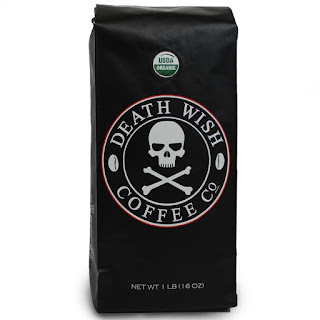 Ever heard of Death Wish Coffee? It came to life in 2011. Organically grown and fairly traded, it's about twice as strong as your everyday cup of coffee. 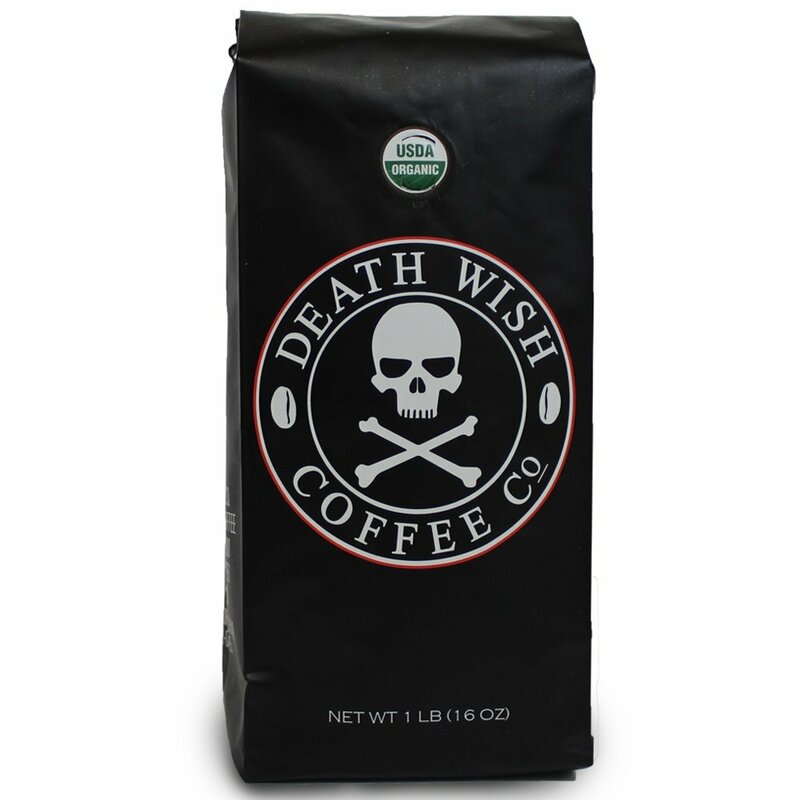 I have a one pound bag of Death Wish Coffee up for grabs and the giveaway is available to everyone worldwide. We got more snow here on April Fool's Day which was a cruel joke. But since it's cold again, that means more opportunity to drink hot tea. I like to add raw honey for some sweetness. Do you like honey? KozyKabinCorfu is a local and small family business out of Corfu, New York. Named after the island Corfu in Greece, it has a total area of just one square mile. Murder Creek (lovely name), a tributary of the Tonawanda Creek, flows through the town. While Charlie & Lenora maintain their online Etsy shop, they also have a brick and mortar store. 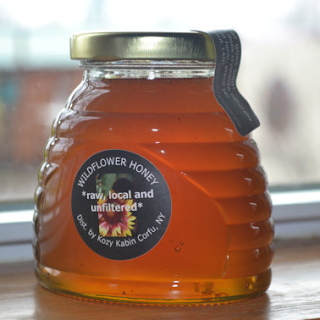 They believe in quality craftsmanship, workmanship, and their honey is always raw and unfiltered - only the best! Pictured above is a glass jar shaped like a hive (cool, huh?) with one pound of 100% pure, raw honey. The wildflower variety is by the KozyKabinCorfu bees here in Corfu, and in the winter months the orange blossom and gall berry varieties are harvested from northern Florida. Out in western New York, Charlie & Lenora's bees have minimal exposure to pollutants and chemicals. I've never been to their neck of the woods, but I've heard it's a beautiful place. In the mood for honey now?! Charlie & Lenora are graciously offering a one pound jar of pure wildflower honey to one lucky Giveaway Guy reader. You can also use coupon code SAVE5 for 5% off your Etsy order. The wait is over! Star Wars: The Force Awakens is being released on DVD on April 5th. Did you see the movie in theaters? I did. 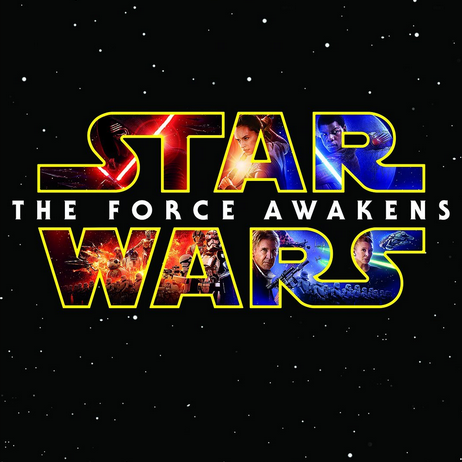 The first full-length trailer. I still get goosebumps.